Better, by Dr. Atul Gawande, doesn’t really fit the mold of “standard business or personal development book”. Known for his work in the field of medicine, Dr. Gawande is rapidly revealing himself to be a well respected business author (most recently having written The Checklist Manifesto: How to Get Things Right). Dr. Gawande is creating a niche, by tackling the issues of general medicine and paralleling them with issues existing in most other industries. In Better, Dr. Gawande talks specifically about performance and how – through three core requirements for success (diligence, doing right and ingenuity) – the medical field is setting new standards of performance. Seems pretty simple, right? Pay extra special attention to what you’re doing, do those things the right way with integrity and look for unique and innovative ways to accomplish tasks…that should be all that’s required to raise your performance to the next level. But as Dr. Gawande explains, understanding and best intentions don’t always mean we follow through. And it’s also not a one-time sort of practice – to be better we have to be constantly trying to improve which, for a lot of people, can be overwhelming to consider. Throughout the book, Dr. Gawande uses example after example of people who are doing just that – making betterment part of their everyday lives and making it look easy. Well, if not exactly easy, easily implementable as part of their regular routine. From the team encouraging medical professionals to use antibacterial hand sanitizer to the increasing use of midwives at home as alternatives to hospital births, Dr. Gawande uses the pages of Better to show us the advances possible in medicine when people choose step it up a notch. "When someone comes to you for your expertise and your expertise has failed, what do you have left? You only have your character to fall back on." As you look around at the people in your life whom you trust, look up to and want to emulate, what characteristics do they have? Are they the smartest person you’ve ever met? The most beautiful or have the most money? Do they drive the flashiest car or have a degree from the most prestigious university? Chances are you answered no to most, if not all, of those questions. These questions are just to illustrate a point – those “heroes” you’re thinking about are likely rather normal people who you believe have integrity, have earned your respect and are unique individuals in and of themselves. I use the word “hero” lightly as these people likely don’t sit on the proverbial pedestal and they probably don’t wear capes as normal day-to-day clothing but the idea is the same…these people have strong character and integrity and you depend on them. They are not infallible and will obviously make mistakes in their lives but still, because of their integrity and your respect for their character, you trust them as an integral part of your life. That being said, if you value integrity as a redeeming quality in your heroes, who’s valuing integrity in you? "Lessons are hidden because no one knows who the high performers really are. Only if we know the results from all can we identify the positive deviants and learn from them." Get comfortable, find a glass or cup of something delicious and on a piece of paper, make a list of those people in your life you believe demonstrate integrity. Write down the qualities you admire, the character traits they possess and why you respect them. This doesn’t have to be an exhaustive list, just some quality people in your life. Next to that list, make a list of the qualities you share with those people – character traits you have that cause people to look up to you, respect and value your opinion and admire the openness you display. As you look at the list of people you believe have integrity, is it also true that those people admire integrity in you? As respect often happens mutually, it’s likely your integrity is mirrored in theirs. And if it’s not, what’s stopping you from earning that mutual respect? "All patients deserve a simple measure that indicates how well or badly they have come through and that pushes the rest of us to innovate. There is no reason we cannot aim for everyone to do better." Taking our performance to the next level can be a hard thing to initiate but what’s holding us back? Is it the perceived herculean effort required to make that change? Is it the daunting belief that once you start down the road to increased performance, you’ve got to keep it up? It could be anyone of those things (or all of them) those things…but so what? If the cliché about the first step being the hardest one is true, the rest should be incrementally easier right? And it doesn’t take new technologies, or any exceptionally special skills…it just takes the diligence and determination to take that first step. You think you have tough obstacles to overcome? 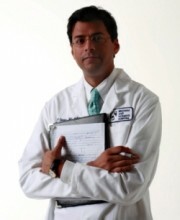 Dr. Gawande uses the example of American military doctors in Iraq – a situation where less than 50 general surgeons and 15 orthopaedic surgeons support over 130,000 American troops on the ground. These doctors have learned to “make a science of performance, to investigate and improve how well they use the knowledge and technologies they already have at hand”, to save 90% of wounded soldiers. By making “simple, almost banal changes that produced enormous improvements” (Better, page 56 – emphasis added), these doctors literally changed the lives of thousands of people. Small steps, collectively building over time, ultimately changing the world. What simple changes can you make today? Dr. Gawande’s book is insightful, relevant and totally applicable to the world outside medicine as well as inside it. Determined focus on raising our levels of performance, seeking relationships with people of integrity and being more diligent in our daily activities can only lead to increased success in both our personal and professional lives. Hey, even if you’re not the next person to discover an improved therapy for wounded soldiers, maybe you’ll be the one to save your organization hundreds of dollars in colour ink cartridges. Everyone can be a hero in their own world.